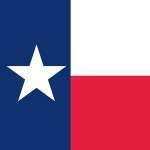 Texas Poker – Is Online Poker Legal in Texas? As it stands today, poker is not exactly legal whatsoever according to Texas statutes. (2) makes a bet on the result of any political nomination, appointment, or election or on the degree of success of any nominee, appointee, or candidate; or (3) plays and bets for money or other thing of value at any game played with cards, dice, balls, or any other gambling device. There are exceptions – but only a few. This page will spell those out for you. Home poker games are okay. But you need to make sure you play in private, out of the view of the public. Rule number two – you cannot rake the pot or charge an entry fee. They also make it clear that you cannot profit from the sale of food or beverages (like you’re allowed to in Oregon). And you cannot wager for money or for anything else of value. Texas just takes the fun right out of things, don’t they? These strict rules might change in the future. People are trying to change them at least. For example, back in 2013, HB 2098 (the Texas Social Gaming Act of 2013) was introduced. This would have legalized social poker and allow licensed establishments to make a profit from food and membership fees. The bill ultimately failed, but I think what’s worth noting is the effort. Hopefully we see more of this effort in coming months and years. Unfortunately, online poker is illegal in Texas. In fact, former Governor Rick Perry asked the Department of Justice to reverse their 2011 decision on their interpretation of the Wire Act. The DOJ decided each state should be allowed to make their own decisions about the legality of online gambling. I guess Perry didn’t like that. However, there have been attempts on the other side, too. For example, in March 2013, Eddie Rodriguez tabled SB 1103. This would allow Texas to opt-in to federal licensing / regulation if and when it happened on a federal (nationwide) level. It looks like SB 1103 is still pending. Another advocate for online poker is Joe Barton. He introduced the Poker Freedom Act in July 2013. This would regulate online poker on the federal level, and it wouldn’t ban online casino games. Barton mentioned going the federal route because he felt trying to regulate poker on a state level would be too difficult (in Texas). Apparently, there is only ONE casino that offers legal poker (that’s what they claim) – the Kickapoo Lucky Eagle Casino. However, they only offer No Limit Texas Holdem and 7-Card Stud. Your other option is heading to Oklahoma. This is the normal option most players take considering the lack of casinos in a state as large as Texas. Eddie Rodriguez put some effort in here, too. He tabled HB 292 (Poker Gaming Act of 2013). This would’ve allowed poker to be played at bingo halls, horse/dog tracks and Indian casinos. But the bill failed. Does Texas’ Future Look Any Better? Experts think we’ll see legislation around 2018 and beyond, but that’s reaching pretty far regardless. But seeing as how there’s nothing really going on in Texas, as far as new bills or attempts at regulation, I just don’t see it happening.